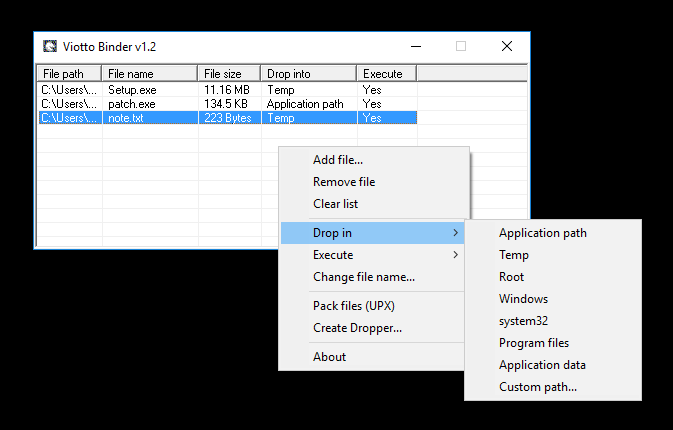 Formless File Dialog: No OCX/Form/Component needed! With this simple class you can create a FileDialog without any form needed, also without the need of using comdlg32.OCX and its visual CommonDialog component on a form. It is also more performant then when using the OCX component. 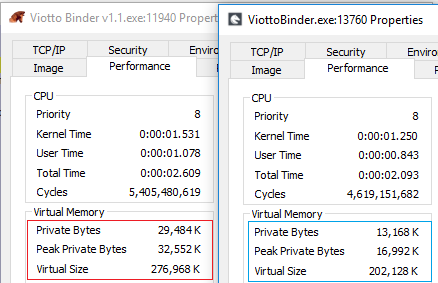 The screenshot on the right shows performance difference when opening a FileDialog: left with tradizional OCX CommonDialog control, right direct DLL calls using this code.
' without the need of ocx file and graphical component.
' you have to load the module into memory and also distribute a 90K OCX file to users of your software.
' you should minimize the use of controls in your applications.
' Instead, you can use the Win32 API calls directly.
' This can be used to retrieve full path of the selected file, after dialog display.
' This can be used to get the filename (without path) of the selected file, after dialog display. Rot-N encryption cipher in VB6. Very basic encryption, not reliable for safe protection. with few lines of code and no Windows APIs. You can find Viotto Binder source in its own page here.